Kundalini-Gateway.org: Kundalini Mailing list: Swami Shivom Tirth by Kurt Keutzer. Shri Swami Shivom Tirth Maharaj was the favorite disciple of Swami Vishnu Tirth Maharaj. The field of activity of Shri Swami Vishnu Tirth Maharaj was considerably wide and he set a number of milestones in the expansion of the movement of the Shaktipat system. His successor Shri Swami Shivom Tirth Maharaj, the present Guru Maharaj of Ashrams in India and the USA, has, however, gone beyond this horizon after solidifying the work of his revered Guru. Swami Shivom Tirth Maharaj was originally named Om Prakash when he was a householder before joining Shri Swami Vishnu Tirthji Maharaj. He was born in 1924 in the village of Gujrat in Punjabi into a respectable family. He had a deep interest in religion and a strong liking for spiritualism from the very beginning. He studied for his undergraduate degree in Lahore. Afterwards he started leading a simple but highly ideal life. Om Prakash and his family were duly affected by the partition of the country which consequently compelled him to leave Lahore along with his family. He took a job in Punjabi but soon left and devoted himself to higher objectives and began searching for a competent teacher. After coming to know about the spiritual attainments of Shri Swami Vishnu Tirthji Maharaj, he sought his permission to join him. On receiving Swamiji's consent, Shri Om Prakash bid farewell to his family and was thereafter called Brahmachari Shivom Prakash following his initiation in 1959. Shri Shivom Prakash, while attaining considerable spiritual elevation in the company of his Guru, dedicated himself completely to the maintenance and improvement of the newly established centers at Dewas and Rishikesh. His unmatched dedication and total surrender to his Guru was a model for others. His steady silent devotion can be well compared with Eklavya, the unrecognized disciple of Dronacharya, who once happened to beat the great warrior Arjuna but ultimately sacrificed his right thumb when demanded by his Guru, Drona. What we see today at the Narayan Kuti Sanyas Ashram in Dewas is the result of the incessant labor of Brahmachari Shivom Prakash. He was concurrently undertaking a deep study of all the important Hindu classics and scriptures. Swami Vishnu Tirthji was very much impressed by the selfless surrender of Shri Shivom Prakash. He arranged for the Brahmachari to in be in the company of many spiritual personalities and took him around to many important religious centers. After receiving initiation into the order of renunciation (Sanyas), which he took in 1963 from Shri Narayan Tirth Maharaj (Kashi), he was given the new name of Swami Shivom Tirth. Shri Swami Vishnu Tirthji Maharaj afterwards authorized Swami Shivom Tirth to succeed him and propagate the system of Shaktipat for the welfare of all people. Since then, Swami Shivom Tirth has accomplished the task of >>kindling the fire of knowledge<< in different countries of the world, all of which Swami Gangadhar Tirthji had predicted. Swamiji is all loving and embracing. His charming and dignified personality attracts people from every walk of life and almost captivates them by the magnetism of his personality. He holds among his following Hindus, Muslim, Sikhs, Christians, Jews, Chinese, and Japanese. The system of Shaktipat has already gained ground in Europe and America. Swamiji has also undertaken foreign trips whenever he has felt his need abroad. 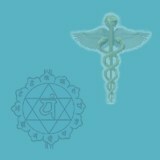 This book is written in a question and answer format, and covers many of the commony asked questions concerning Shaktipat, Pantanjali's Yoga Darshan, methods of awakening the Kundalini power and meditation. This book also contains an introduction to the tradition of Shaktipat. Although the system of Shaktipat is very old, the system witnessed a revival during the late nineteenth century through Swami Gangadhar Tirth Maharaj. The history of the transmission of Shakti from Swami Gangadhar Tirth Maharaj through each successive guru in this notable line up to the present time is reviewed. Selected lectures by Swami Shivom Tirth on Shaktipat, Karma Yoga, the mantra, and meditation. Sadhan Path: A Guide to Meditation, by Swami Shivom Tirth Maharaj. This newly published book is a rich source of information on meditation. First published in 1961, the Hindi version of this book was widely received. Now in English for the first time, this book deals with requirements for those entering the path of meditation, necessary mental preparations, the necessity of finding a qualified guru, and meditation and the experience of divine ecstasy. Also new, this is the first English translation of the beautiful poems of Swami Shivom Tirth Maharaj. These poems have been set to music in India by musicians of national reputation. These poems have been described as moving, haunting, and inspiring, and are considered by many to be the author's finest work. This work represents not only the great wisdom of a true spiritual master, but also a significant work of creative art in metaphysical poetry. Swami Shivom Tirth's work is further continued by his close disciple Swami Shiv Mangal Tirth.